We haven’t done a thing yet this year in our garden to prepare for planting anything. So it was a pleasant surprise to find some escapee poppies, left over from our experiment last year of growing one planter of mixed flowers. 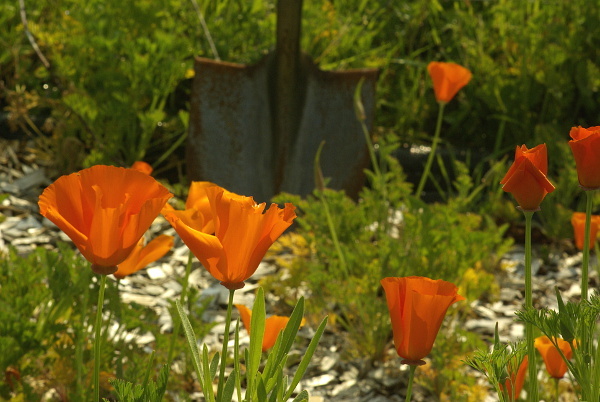 These were growing amid the cedar chips we have down to discourage weeds between the planters.